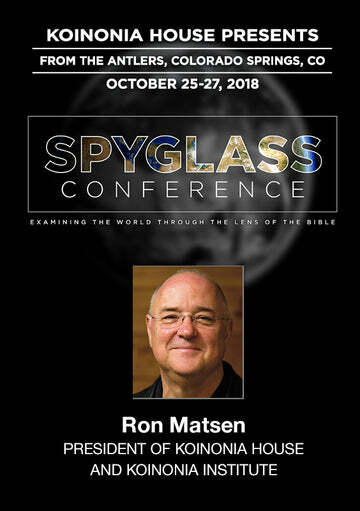 In early November, Christians from around the world gathered in Coeur d’Alene, Idaho to attend the 6th annual Strategic Perspectives Conference, hosted by the Koinonia Institute. 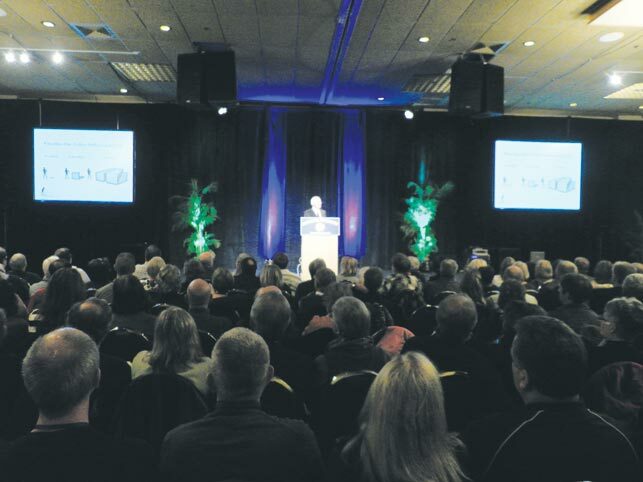 Over eight hundred people came together to hear some of the best Christian speakers in the country. 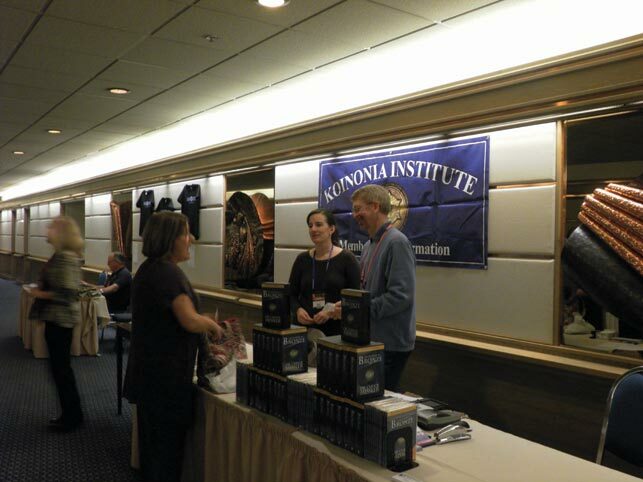 Before the start of the conference, there were special meetings for the members of the Koinonia Institute. These meetings consisted of updates on the progress of the Institute, as well as some changes that are coming to the three tracks under which the Institute operates: Berean, Issachar, and Koinonos. 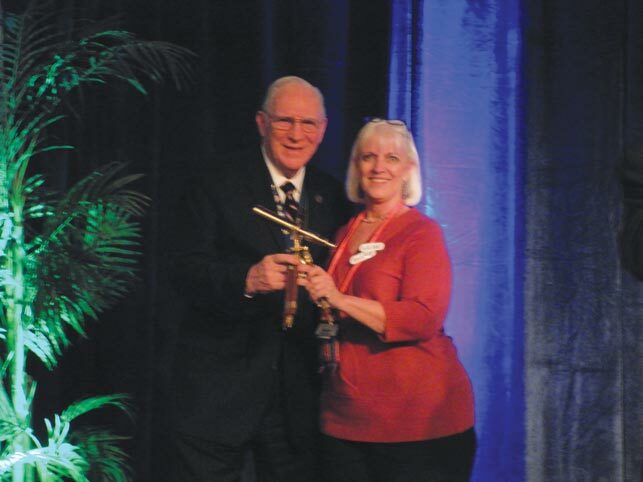 Chuck Missler and Dan Stolebarger also had a special meeting with the Institute’s Silver Medallion holders to give them an update on new programs being rolled out for the pathway to the Gold Medallion level. 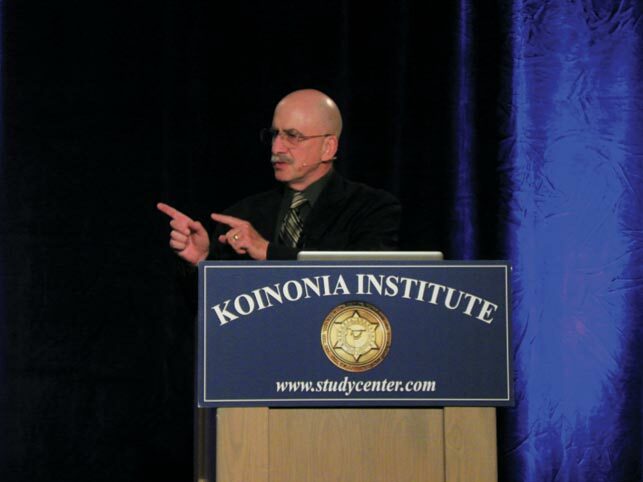 On Thursday morning, one of the conference speakers, Tom Horn, gave a special presentation on Transhumanism.1 The presentation was recorded for distribution on DVD that will be available through the Koinonia House online store. Friday evening, many conference attendees were treated to a private dinner with Joseph Farah, founder and editor-in-chief of WorldNet-Daily.2 Joseph gave a presentation based on a new documentary being produced on Isaiah 9:10: “The bricks are fallen down, but we will build with hewn stones: the sycamores are cut down, but we will change [them into] cedars.” The insights given during the dinner were truly remarkable. John Loeffler - The actual conference began with John Loeffler, renowned researcher and host of the weekly news series “Steel on Steel.” John gave a presentation titled, “Critical Thinking in a World of Deception.” He gave the attendees a crash course on logic and logical fallacies and introduced the group to “Loeffler’s Law”: “Logicity is inversely proportional to reality. If it’s logical, it won’t happen. If it’s happening, it’s not logical.” He also gave a summary of Postmodernism, the Dialectical Process, and how we came to the deceptions that are permeating this world. Jim Puplava – Jim Puplava, investment analyst and Internet radio show host, rounded out Friday evening. Jim is the president of the Puplava Financial Services (PFS) Inc. group and is also the host for the Financial Sense News Hour. Jim spoke on “The Impending Financial Implosion.” Jim laid out the financial markers that are leading the United States to a financial “moment of truth” that can only be overcome with certain pain for each of us. This “moment of truth” combined with the looming “peak oil” crisis could mean substantial changes in our lifestyle. Steve Elwart – Steve Elwart started off the Saturday morning session with a presentation, “Behind the Curtain – Geopolitics at the End Times.” Steve is a subject matter expert for the Departments of Homeland Security and Energy and is a Senior Research Assistant for the Koinonia Institute. Steve gave an update on geopolitics with an eye toward Biblical prophecy. William Welty – William Welty then followed with his presentation, “When Life Isn’t Linear.” Dr. Welty is the Executive Director of the ISV Foundation, which has just completed a new translation of the Bible. Dr. Welty used life lessons from Habakkuk and 1 Kings 17 to show us how we can invite God to work in us as He did in the life of the widowed mother of Zarephath. 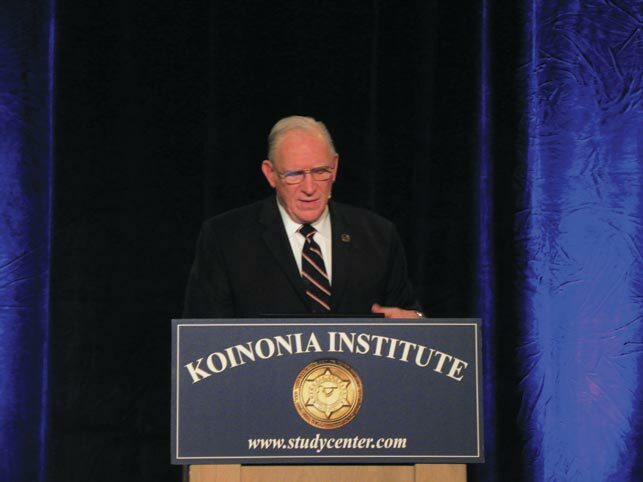 Chuck Missler – Chuck Missler then came on stage and gave his strategic perspective for this year, giving a brief rundown of current events from the perspectives of the three elements of the Institute. He then challenged the attendees to 1) “Raise the bar” on their personal walk with Christ; 2) Commit to a systematic program of Bible study; 3) Join (or start) a weekly small study group; and 4) Respond to His calling…now! Tom Horn - Tom Horn is a researcher and free-lance writer whose Raiders News Update reports have been referred to by dozens of news magazines and press agencies around the globe. His research on Transhumanism has been used by Christian writers and commentators to bring the growing danger of man/animal and man/machine hy-brids to light. Jerome Corsi - Jerome Corsi is an author and political commentator best known for his two New York Times bestselling books: Obama Nation and Unfit for Command. Dr. Corsi gave his in-sights on the Obama birth certificate controversy in his presentation, “Obama and the Deception.” Corsi brought to light several provocative inconsistencies with Barack Obama’s birth certificate; inconsistencies that are yet to be explained. Joseph Farah – Joseph Farah spoke toward the end of the conference with his presentation on “The Age of Lawlessness.” Joseph described how the world is moving away from the law and has gone from a law-abiding to a law-breaking society. He gave examples from both the Old and New Testaments to emphasize his points. 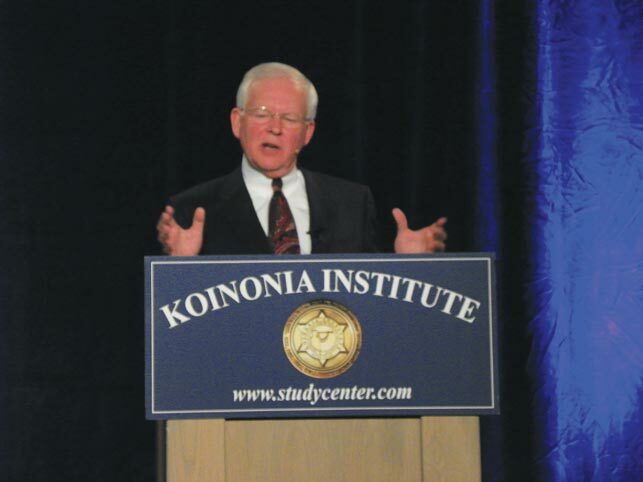 While there were many great speakers at the conference, many of the attendees came for the fellowship—the Koinonia— with other believers. People could be found in the hallways, the restaurants and the information meeting areas fellowshipping together and sharing their love of God with each other. Next year, the 2012 Strategic Perspectives Conference will be on October 26th and 27th. Mark your calendars and plan on joining us in Coeur d’Alene, Idaho. It is sure to be a real blessing to you and your family. Transhumanism an international intellectual and cultural movement that deals with the possibility of fundamentally transforming the human condition by developing technologies to enhance human intellectual, physical, and psychological capacities.